When would you like to stay at Agora Life Hotel - Check Availability & Room Rates!!! 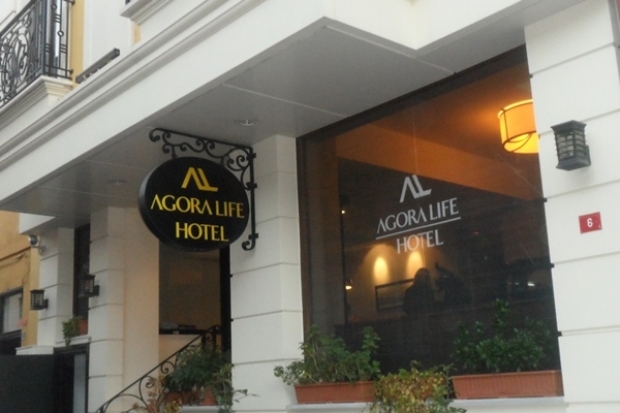 Agora Life Hotel located on Cagaloglu Hamam Street, Sultanahmet/Istanbul. Agora Life Hotel located In the heart of Sultanahmet area that offers genious location for guests who want easy access to historical sites. Agora life hotel has 16 guestrooms include laptop-compatible safes and bathrobes. Rooms are equipped with lcd tv's with satellite channels. Guests can get complimentary breakfast, wireless-Internet access, staff can provide concierge services, rooftop terrace, multilingual staff and 24-hour room service. How far and How long will it take from/to the Agora Life Hotel Istanbul from/to International Airports and cruise Ports.